Little Debbie gets no damn respect. There was a gnashing of teeth and a rending of garments when Hostess went the way of the dodo; we wonder if the the discount snack queen would get the same love should her sweet life be cut short. 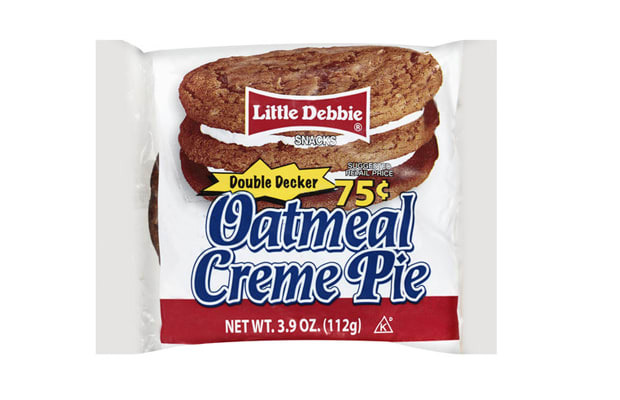 Though she is the red-headed step-snack brand, Debbie won't be beat in terms of value. Even at the gas station mark up, you can still get your hands on a pack of these for 50 cents. Yes, the picture above says 75, but that's for a double-decker, son.